The grandfather of 15-month-old Umar Emeran who was one of 19 people who died in a fire in a shopping mall in Doha, Qatar, on Monday, said he never thought people would be killed by fire in such a developed country. 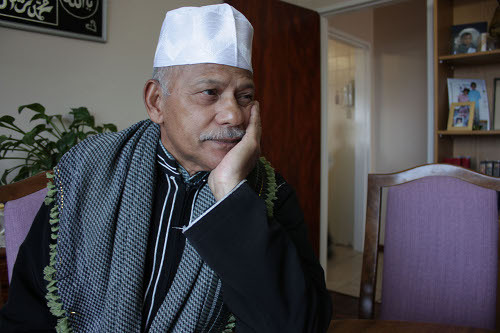 Speaking from the Bokaap yesterday, 77-year-old Goosain Emeran said he last saw his grandson when the family were visiting Cape Town for 15 days, a month ago. “He was a cute little boy”, said Emeran, describing how he enjoyed “sitting in the lounge with the boy” and playing with him. He said Umar would point to his pram when he wanted to be taken for a ride. Umar was one of 13 children – seven girls and six boys – who died in the fire which started in a crèche at the mall. 28-year-old Shameega Charles, originally from Mitchell’s Plain in Cape Town, also died. Charles was a teacher at the crèche. Goosain said Umar had only been attending the crèche for about two weeks and his son Moeneeb Emeran had been living in Qatar for about 10 years. Umar’s funeral, according to Islamic rites, was set for 1pm yesterday and a special service would be held in Cape Town in memory of him. Goosain thanked the South African embassy in Qata for helping the family during this difficult time. According to the Cape Times, Emeran described his son as compassionate and said he would miss his tantrums. The toddler loved hugging his mother. “One minute he was hugging my wife, the next he is throwing his dummy or bottle on the ground.